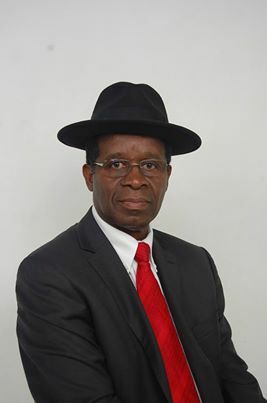 Whoever said that blood is thicker than water then certainly never had politics in mind; or, if he had politics in mind then it was to the Mutharika brothers or the Muluzi family but surely not the Katsonga brothers. On Satuday, Chipani Cha Pfuko (CCP) that was founded and is led by Davies Chester Katsonga welcomed 500 members who had defected from the Peoples’ Progressive Movement (PPM), a party owned by his brother, Mark Katsonga. Whereas the defectors claimed that they had left the party as they were not consulted on crucial decisions being made by the party pertaining to the issue of the 2014 elections, Mark Katsonga dismissed their assertions as not true and opted to leave the matter at that claiming he does not comment on issues to do with his brother. Recently, CCP came out in the open announcing that it is ready for a coalition with any party willing to be with them in readiness for the May polls that. Both CCP and PPM are considered as briefcase parties and people have wondered how the Katsongas expect to lead the nation when they cannot unite amongst themselves. 500 members from which party? Zaku mtundu kwawo izo. Chipani cha ku Mwanza/Neno, sichingagwedeze dziko. Anthu awiriwa alibe chochita. Nzeru zawathera. @Levie can u see from PPM, party of his brother! 8uHtFL It as truly a great and helpful piece of information. I am satisfied that you simply shared this useful tidbit with us. Please stay us informed like this. Thank you for sharing.